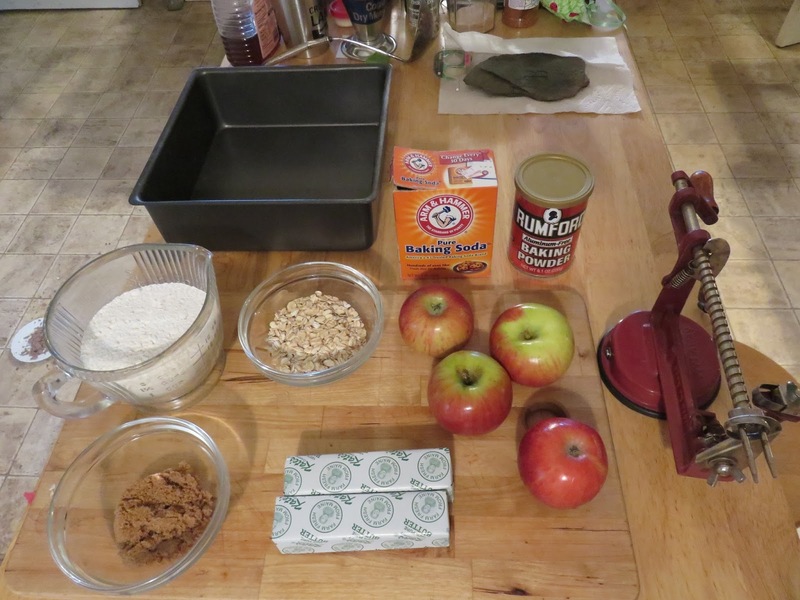 I bet you thought there was no such thing as a “new” apple recipe. 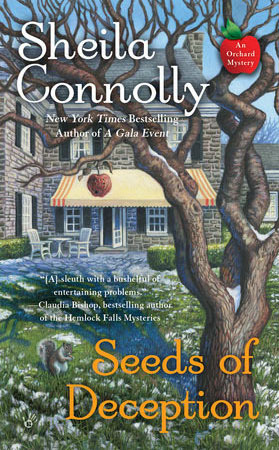 Just take a look at the backlist of apple recipes we’ve collected on Mystery Lovers’ Kitchen! But I’m always watching for a new twist. This recipe was inspired by a cookie/bar I discovered at the Moon Dog Café in Chester, Vermont this month. 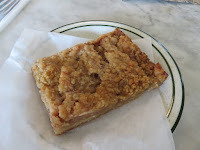 (If you’re in the neighborhood, try the café’s meat-loaf sandwich—it’s amazing, and enough for two meals.) I decided to try to reproduce it, and this is the result. It combines elements from a variety of other of my recipes, with a dash of common sense in combining them. In a stand mixer, mix the first three ingredients. 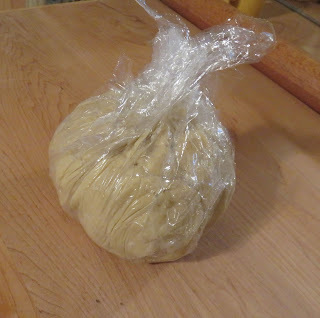 Roll the dough into a ball, wrap, and refrigerate for 15 minutes (this makes it easier to handle). 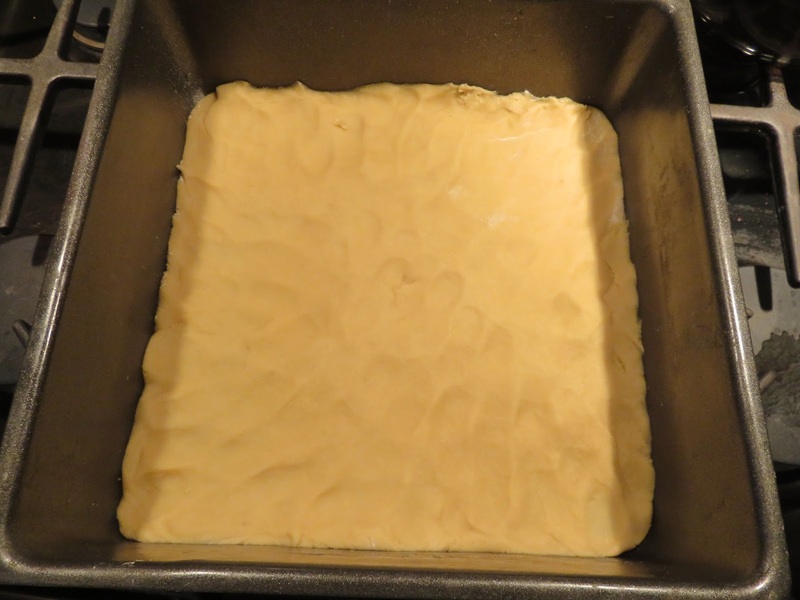 Press the dough into the bottom of a baking pan (I used a 9” pan with a removable bottom—you do need something with sides to contain the filling, but the overall dimensions aren’t critical). 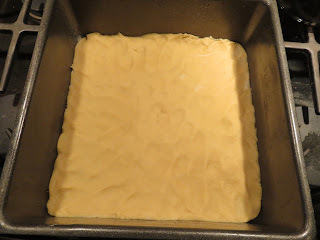 Bake in the middle of the oven for 15-20 minutes (this will be cooked, but don’t let it brown). Let cool partially. Peel, core and thinly slice two or three cooking apples (depending on size). 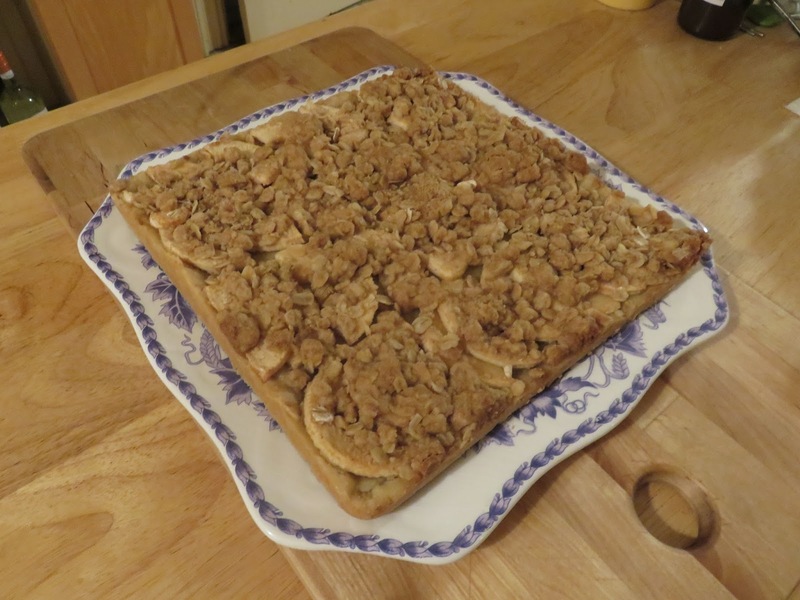 I used locally-grown Empires, which weren’t very large, so it took four apples to cover the crust. 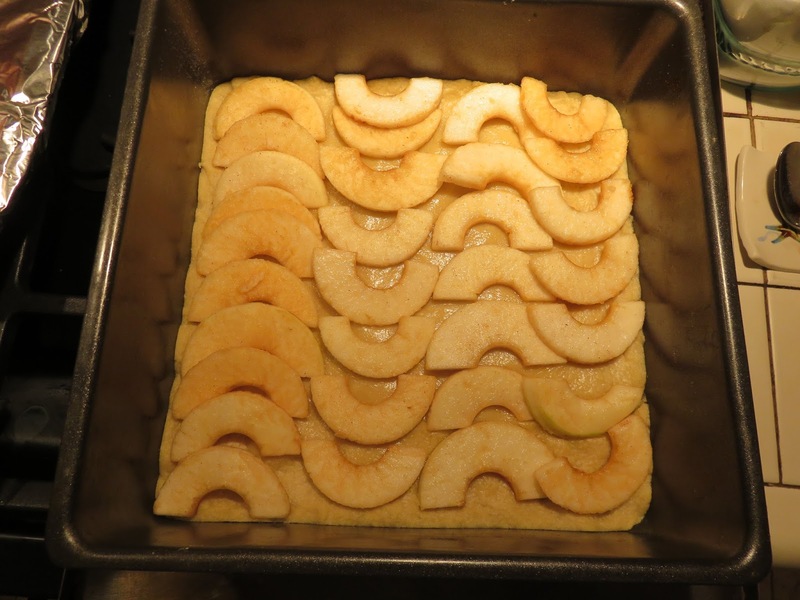 Arrange the apples on the crust in a single layer (some overlap is okay, but it shouldn’t be a thick layer). Taste the apples, and if you think they need it sprinkle with a little sugar, and some cinnamon. 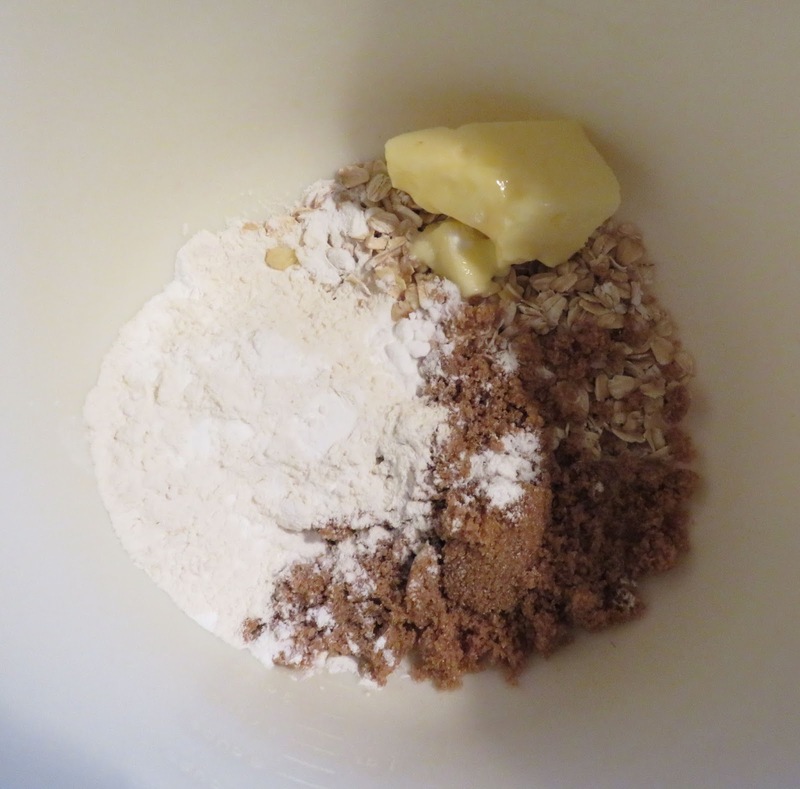 Mix the ingredients together to make coarse crumbs and sprinkle over the apple layer. 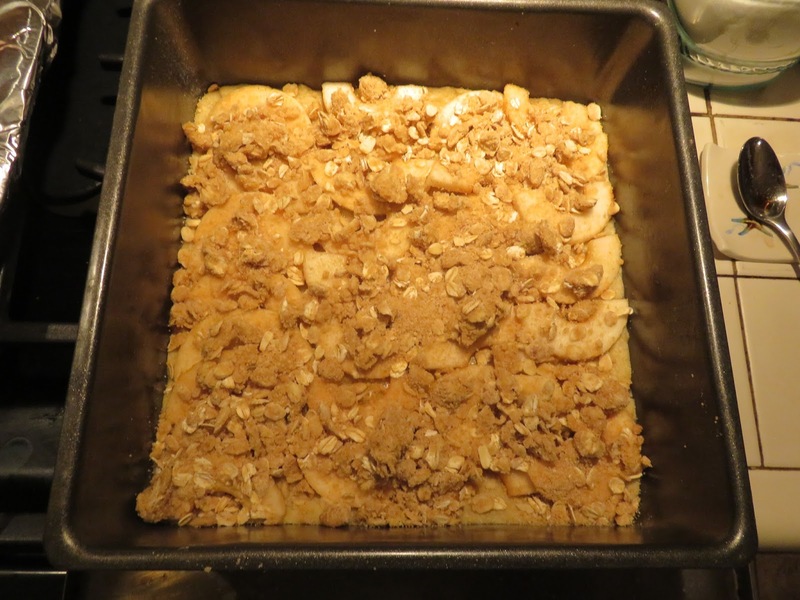 Bake for about 20 minutes or until the apples are soft and the topping begins to brown. 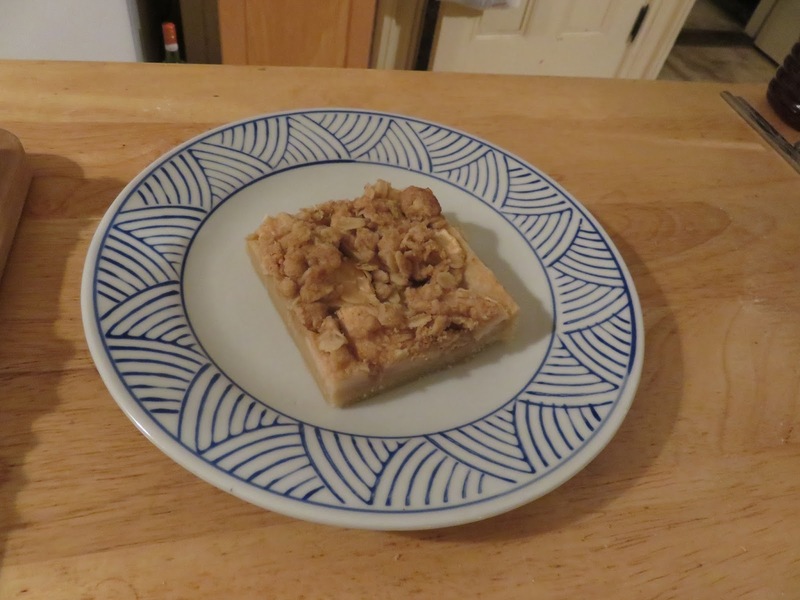 As you might guess, the apples will make these bars a bit soggy after a short while—so enjoy them quickly! Here's my version. Pretty close! Seeds of Deception (Orchard Mystery #10) was #10 among Barnes and Noble's Mass Market Paperbacks in its first week! Thank you all (and for those of you who haven't bought it yet, what are you waiting for?). Well done. Looks like you captured it deliciously. 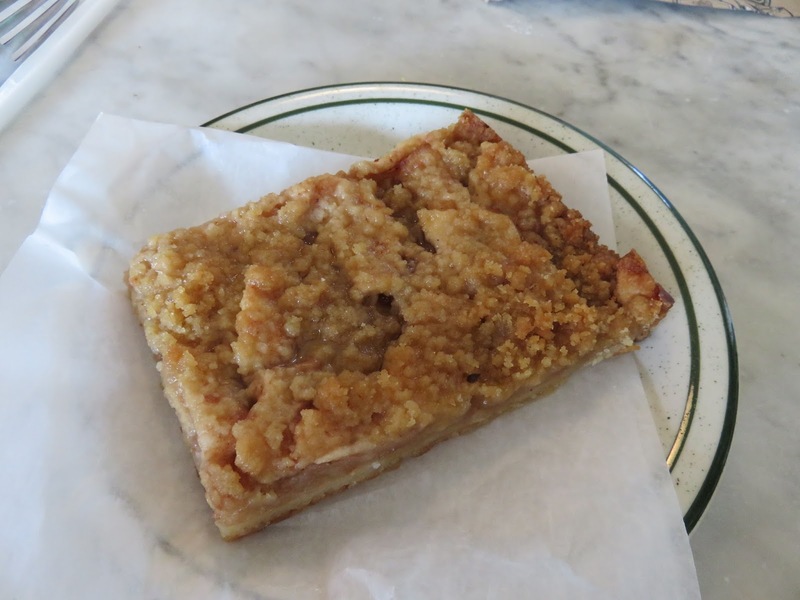 It's hard to go wrong with apples, especially when you combine them with butter and sugar and maybe a dash with cinnamon. Yum! This is right up my alley. What a wonderful treat! So do I! And I never knew where I'm going to find them. Of course, I have to taste them first. Oh, look, there's a new restaurant opening just a mile away . . .
We actually beat the bears to the apples this year, so I can try this! It looks terrific. What a perfect find this is, Sheila! So lovely. Thank you from some apple lovers. 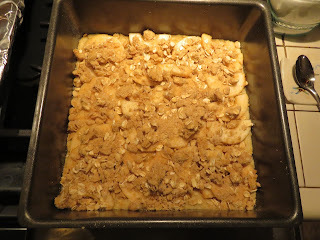 Nice easy recipe that will be a welcomed addition to our grandson and granddaughter's soccer games next week. I love to bring snacks for the kids!!!!! 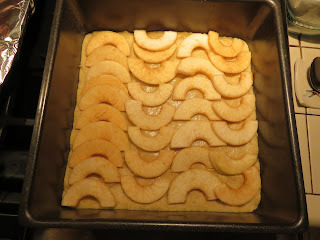 Made this for dessert last night. It is so quick and easy. 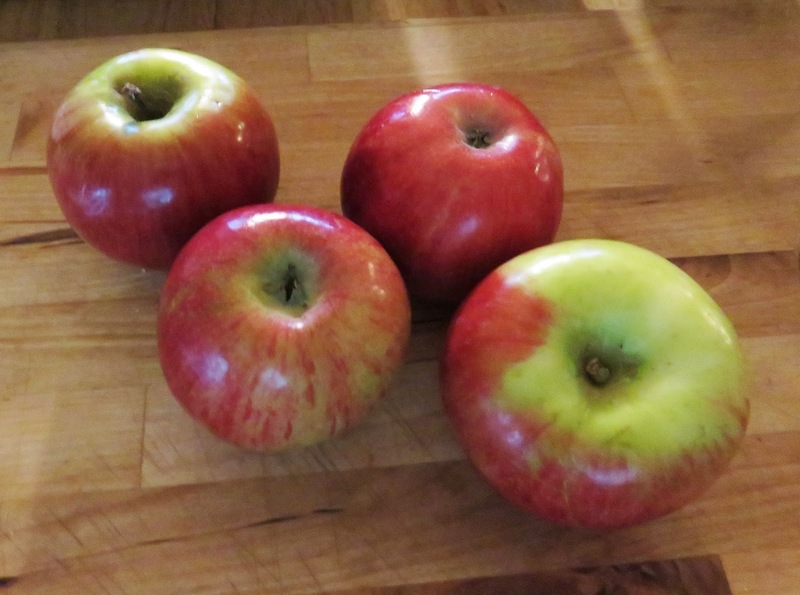 My husband bought a bag of Gala apples and they were perfect without adding anything to them. Served slightly warm with cinnamon ice cream,and it made the whole meal. Have to say I'm not sure when or how the cinnamon ice cream appeared in my freezer but so glad it was there. Thanks Shelia for the great recipe. A 5 star keeper!